Tackling water damage in the event of an emergency requires a rapid response to ensure that the drying process begins as quickly as possible. Condensing driers are often a good solution because they are quick and easy to install. They are most effective when used in heated environments. 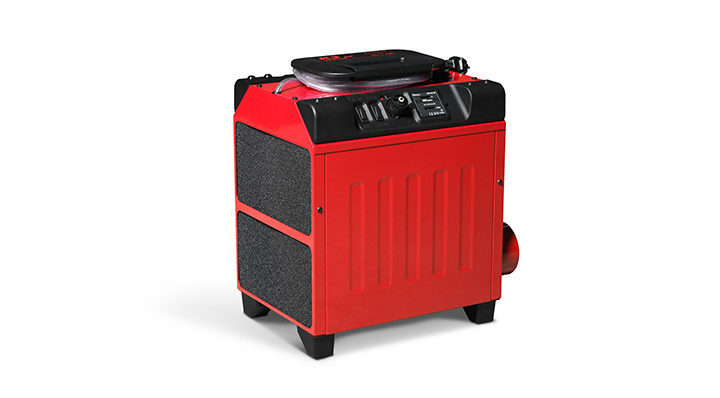 Corroventa’s condensing driers are available in both analogue and digital models. They are robust, user-friendly and have a long service life. They are also powerful – despite their compact appearance, they produce more water than traditional condensing driers twice their size. The picture to the right shows the functioning principle for a condensing drier. When the moist air passes through the evaporator (1) it is cooled down to dew point and condensation water is deposited. The water runs down into the bucket (2). The dry and cold air then goes through the condenser (3) where it is heated. The dry and hot air is then blown through the fan into the premises again (5). Number 4 shows the compressor that adds new energy to the process. Click here to read more about the usage of condesning driers in a Swedish hospital. 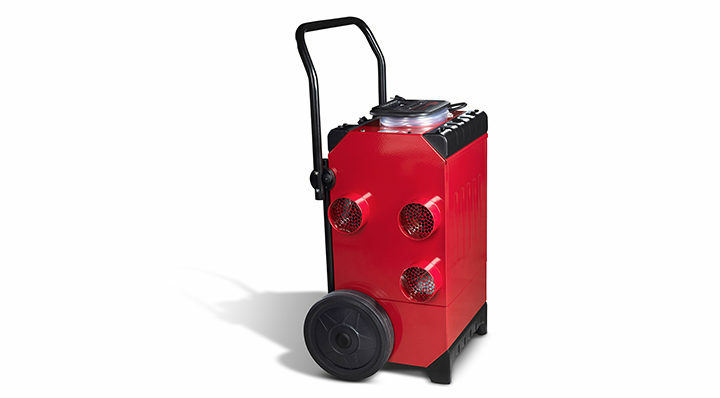 K3 ES HP is the smallest condensing drier of the ES series, with a capacity of up to 30 l/day. It has digital controls and can be monitored at a distance with SuperVision®. The largest condensing dryer in the ES series, with a capacity of up to 45 l/day. It has digital controls and can be monitored at a distance with SuperVision®. K3 HP B is a compact but effective condensing dryer with a capacity of up to 30 l/day. K3 HP is our smallest condensing dryer, with a capacity of up to 30 l/day. 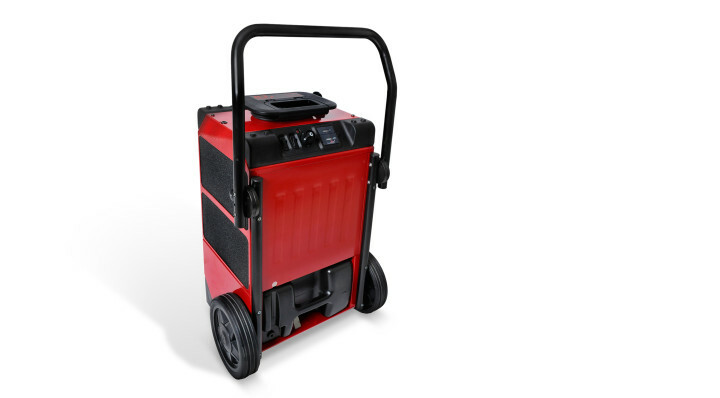 K5 HP PX has a capacity of up to 45 l/day. Equipped with additional heater, pump and a bucket.